Go to Mac Deleted File Recovery. Accidentally Delete Files? Don't Panic Now! 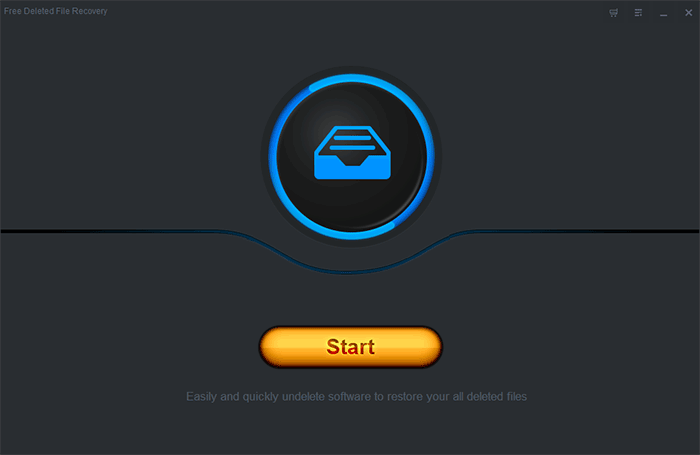 Free Deleted File Recovery is an easy and efficient undelete software for Windows or Mac. It supports to recover deleted files after 'shift + del', emptying recycle bin, clicking 'delete' button on the right-click menu or deleting through Windows Command Line or from DOS. 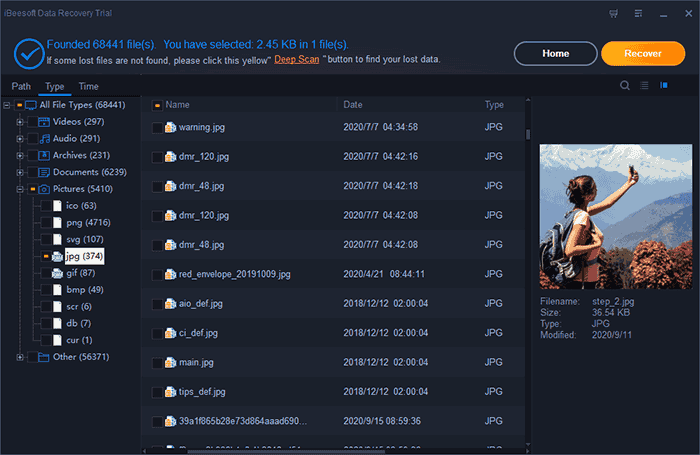 Free file recovery could restore various types of deleted file from computers, partitions, external hard drives, digital cameras, SD/Memory card, USB Flash drives or others storage medias. The undelete software with friendly interface can easily recover your deleted data. "An easy to use deleted file recovery software for recovering deleted files from Windows. I have successfully restored the deleted files.Is worth to recommend!!" "Good tool!! It restored all my accidentally deleted photos and videos from the digital camera. So happy to have such an most reliable and efficient undelete software." "The software works great. With the deleted file recovery software help, I have recovered deleted files from the SD card. Thank you for the developer of this file recovery software." " I accidentally deleted a lot of cherished photographs. I was in despair until I decided to use the iBeesoft.It was like a miracle. I recovered all the files from my hard drive & now I'm BACK to normal, very relieved that all was not lost after all. "